The day-long protest left commuters leaving London facing a chaotic journey home with thousands of demonstrators blocking key transport hubs during a co-ordinated day of action at five landmarks. Rowan McLaughlin, 47, a teacher, said this week's protests were more important that the huge pro and anti-Brexit protests in London recently. "We wish to make peace with ourselves by making peace with our neighbour Earth and with our God". 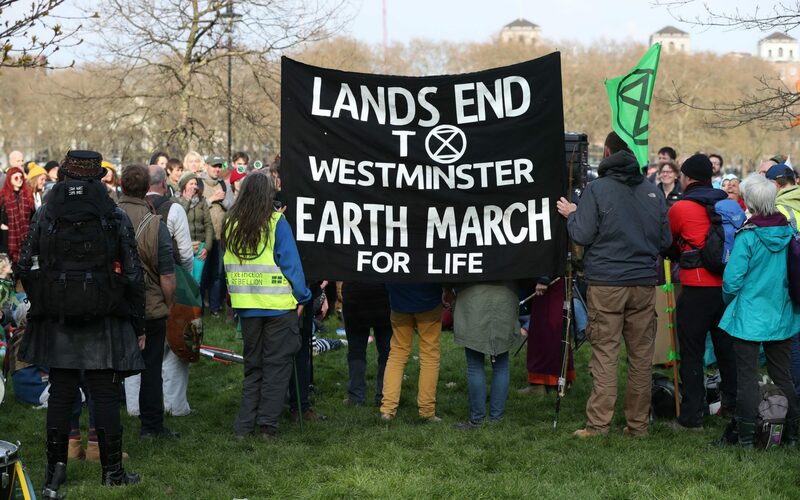 The group has three demands: for the government to "tell the truth about climate change", reduce carbon emissions to zero by 2025, and create a citizens' assembly to oversee progress. There were loud cheers, the ringing of bells, and the blowing of whistles as people were quickly arrested and taken to police vans. This crisis is only going to get worse Prime minister, you can not ignore this crisis any longer. "In London, people are willing to be arrested and to stay". Police report that 122 demonstrators have been arrested.